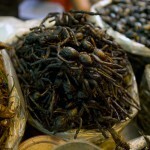 Fancy a deep fried tarantula for dinner tonight? Cambodia observes seventeen separate public holidays each year, some lasting for several days at a time! 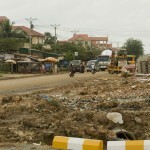 Cambodia is a beautiful third world nation located in Southeast Asia. This country has an extremely troubled past having gone through mass genocide at the hands of the Khmer Rouge in the 1970’s. Yet despite their past, the Cambodian people are extremely friendly and peaceful, and you will experience a culture that is amazingly diverse. The main religion of Cambodia is Buddhism, which is unquestioningly accepted as the cultural religion of this country, however you will have the opportunity to ask life-changing questions as you meet many different people through a variety of situations. 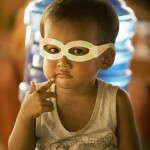 There will be many opportunities to help people while you are on your mission trip. 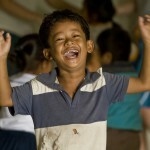 This will include working with children, building water tanks, visiting villages and so much more. You may also get the chance to travel to rural villages and slums to talk with the local people using an interpreter, and provide health care, clothing and food, or even build a house for a family in need. Teaching English will benefit the Cambodian people, as this will better enable them to get better jobs and an increased income to support their families. No matter where you are serving, you will be assisting with the many unmet needs of the local people. You will not go home unchanged. Let us know when you would like to to and we will start planning your trip! Base price includes flights ex Auckland, food, accommodation, transportation, activities, training, staff and outreach supplies. Price is subject to change. 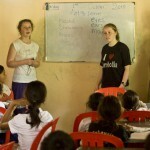 I loved hiking through the jungle in the rain, mud, and the black of night to reach Kadavala School. God took me where I never expected to go!